The food labels in America might be changing soon. The new labels intend to help consumers better understand sugar, fat, salt, serving sizes, and calories. I think that the changes are positive, but they still don't help consumers understand what is really in their food. A childhood friend of mine recently sent me an email asking me to read the food label she attached and let her know what I thought about the ingredients. I thought that you might find it useful to read my response, as it addresses what's in the food instead of just what the calories, fat, etc are of a food. 1. The first ingredient is white flour which has no nutritional value at all. 2. The second ingredient is sugar which has absolutely no nutritional value and, is in fact, harmful. 3. The leavening is baking powder which is fine. 4. The soybean oil is highly processed and most likely a GMO ingredient. Both of these factors make it useless and harmful, in my mind. 5. Dextrose is another form of sugar. 7. Egg yolk is fine. 9. Corn starch has no value and is probably GMO, too. 10. Egg white is fine. So basically, this is a product that will spike your blood sugar, provide calories but no nutrition, and has no protein. Your "food friend" (me) wouldn’t buy this product (which I’m guessing is pancakes???). If it is pancakes, and you are wanting to make pancakes, there are two very good alternatives on my website under the recipe tab. Love this! A good reminder to really "think" about the label, and not just read it blindly. 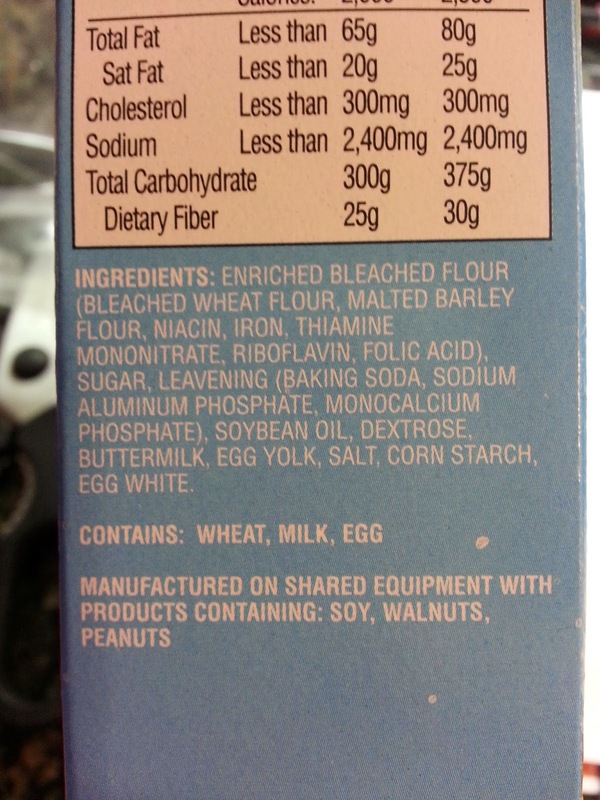 I would have glazed over the soybean oil and dextrose without a second thought. Thanks for pointing this out!